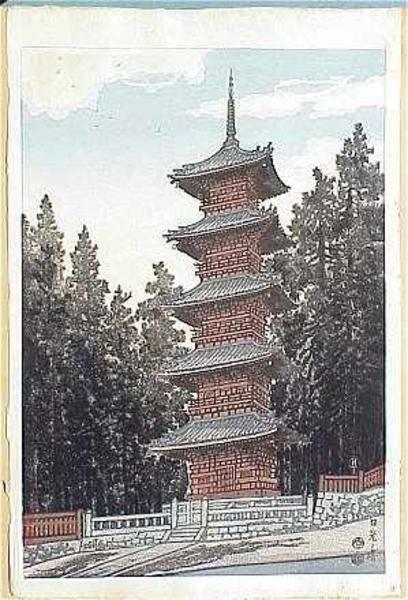 [Go Back] [New Search] Details for Kotozuka Eiichi (1906-) "Nikko Pagoda"
oban tata-e (15½" x 10¾"). 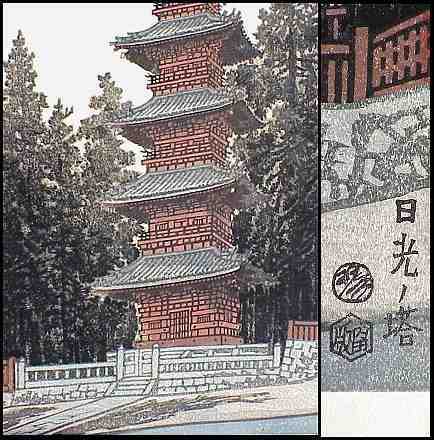 Titled with "Koto" seal and Uchida han (publisher) seal. Published by Uchida ca. 1950.